Brooklyn’s electric talents Paul Hammer and Deidre Muro are consistently delivering body-swaying tracks on their new album Our Nature. Savoir Adore have one song in particular we’ve been playing to death, Dreamers. The compelling mix of a new wave-esque atmosphere and the lovely harmonies make for a catchy album. We had some questions for the band, and when Savoir Adore graciously took the time to do an interview with Madison, we were stoked to hear their answers! AMBY: Where did the name Savoir Adore come from and is there any meaning behind it? AMBY: Having met at a songwriter’s club, how did you start talking about wanting to start a band? SA: We never talked about it actually. We made a challenge for ourselves to write and record a bunch of music in one weekend – just for fun, and to step out of our boxes – and that’s what we did. After passing it around to friends, the music got into the hands of Cantora Records, and they encouraged us to take this experiment seriously. That weekend’s work became Savoir Adore’s first EP (The Adventures of Mr. Pumpernickel and the Girl with Animals in her Throat), and thus we were all of a sudden a “band”. AMBY: What do you do for fun when you aren’t making music? SA: We both like to cook, Deidre likes to be a homebody or go to the local movie/dinner theater, Paul likes cocktails and long walks during the autumn months. AMBY: With you both being born into musical households, did you feel a lot of pressure having to become musicians? SA: Not too much. Playing music was very natural for me (Deidre), and I had the added comfort of a supportive family that wanted me to be happy with the direction I chose for my life. Paul – I was very lucky in that sense as well. In many ways my parents passively prepared me for a career as a musician my entire life, but they also encouraged me to be well-rounded and would’ve probably supported any career path. AMBY: Who came up with the idea to let your album be like a fantasy story carried throughout your songs? SA: It came out of that first weekend we collaborated – in order to really step out of the creative boxes we had made for ourselves up to that point, we went completely in the opposite direction of what we were used to. So instead of writing real-life-inspired tragic love songs, we created a world, made up characters, and fabricated a series of events that captivated us and our imaginations. AMBY: Your single Dreamers is a great tune, is this sound the direction your album will have? SA: Thank you! It is definitely in that direction — we have developed our producing & engineering chops over the past few years, so it inevitably is a little bigger, a little sparkly-er. We’ve also just been surrounded by electronic and dance music, so it has naturally seeped it’s way into our musical psyches. But the album is also quite varied, so you’ll have to determine it for yourself! AMBY: You just started touring, how are the new songs being received? SA: Well we are starting our tour next week, but we have been playing new songs throughout the summer at previous tour dates. The new songs are really connecting with first time listeners, which is a really exciting thing. People will come up to us after a show and ask “What is that last song you played? Can I get the album with that song on it?” They are talking about “Regalia” and it was so hard to say that we couldn’t give it to them because the album wasn’t released yet! But I guess that’s a good sign. AMBY: What was it like touring with MGMT and Los Campesinos!? SA: We’ve actually only done one-offs with both of those bands, but both shows were great experiences. Especially playing with MGMT years ago in a very small subterranean club called Cake Shop on the Lower East Side. AMBY: Being proud Canadians, we love your cover of Men Without Hats classic Pop Goes the World. How did it end up in the Tide commercial? SA: It’s a funny situation! We got wind that they were looking for a new version for their campaign, so we had a go at it. We actually did a few versions that we were happy with, in different directions. They ultimately chose our favorite version of the song, so it just turned out to be a fun pairing. AMBY: What is the best song of 2012? SA: Ahh! What a question… Deidre doesn’t know what has been released this year. Paul? Right now I think Dissolve Me by Alt J is up there. 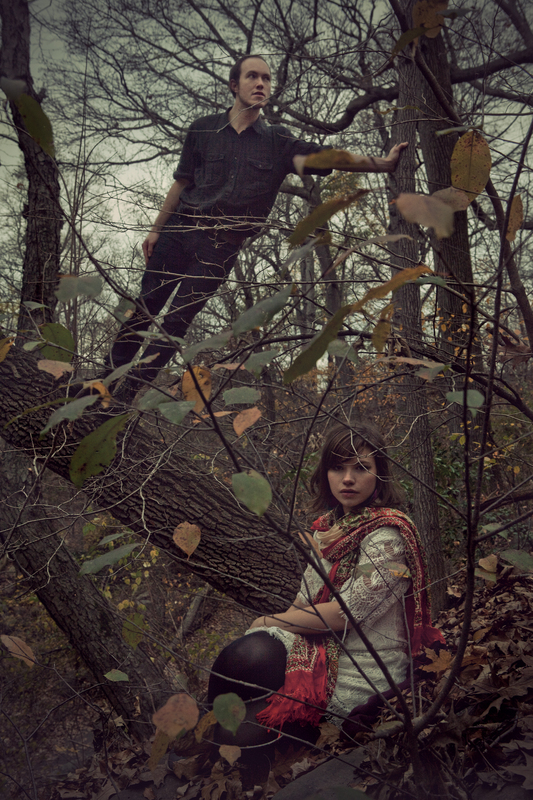 I also love I Belong In Your Arms by Chairlift. AMBY: What album are you most embarrassed to own? SA: I don’t know… We’re generally not too embarrassed about music we love! AMBY: Lastly, tell me something about the band that no one knows yet! SA: Hmmm… Our van’s name is Clifford! Our Nature is a real treat. Lend an ear to the uplifting Dreamers to get a taste of the band, and from there you’ll be hooked. Savoir Adore are to play a show this Saturday in Toronto at Rancho Relaxo. So if you’re in town, swing by! And here are their other tour dates. Lastly, thank you Savoir Adore, for giving us your answers!